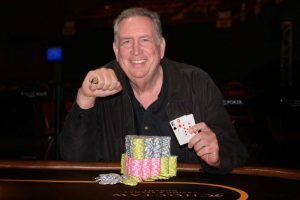 Dennis Brand finished runner-up in the final WSOP Circuit event of 2018 at IP Casino Biloxi, and that second-place finish motivated the player from Houston, Texas to hop into action at Choctaw Casino Resort in Durant, Oklahoma and win the first WSOP Circuit event of 2019. Brand took down the $400 No-Limit Hold’m Monster Stack. The player outwitted a field of 615 entries to be crowned the victor and claim his first-ever Circuit gold ring. Brand also collected $42,620 in prize money for his efforts. The tournament generated a prize pool of $202,950. The money was split into payouts for the top 63 finishers, min-cashes starting from $664. The $400 buy-in Monster Stack was played over two days. Day 2 took place on Thursday at the host casino. It kicked off with 59 players who bagged and tagged from the previous night. Dave Alfa entered the final day of action as the chip leader with a hefty stack of 1.4 million. The player was well beyond the other remaining survivors. Brand was eighth in chips at the time. But as the field narrowed down and the pace of action went up, the player accumulated chips in front of him to eventually emerge as the chip leader into the final table and never look back. 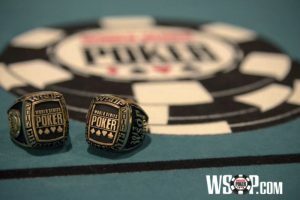 While a WSOP Circuit title eluded Brand at IP Biloxi, the player did not let that one slip through his fingers. The newly crowned champ entered the unofficial ten-handed final table of the tournament as the chip leader and never really relinquished his advantage. Brand faced Charlie Johnson heads-up. Johnson, who running that deep into the tournament, had secured his first cash from the series, was vying for his first-ever WSOP Circuit title. The two-handed match was not a long one and it was Brand who dominated action over its course. Eventually, he eliminated his final opponent in second place to claim the title and the accompanying gold ring. Johnson walked out with a payout of $26,361. The WSOP Circuit stop at Choctaw Durant continues with twelve more gold ring events that will run all the way through January 14. The $1,700 Main Event is scheduled to kick off on Saturday, January 12 with the first of two starting flights. The highlight tournament will feature two more days of action and will thus be completed on January 14. The tournament will begin with a guaranteed prize pool of $1 million. 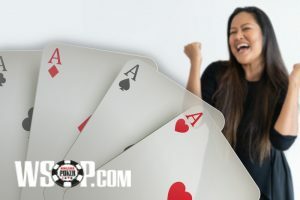 However, judging by the interest the opening Monster Stack captured, it should be expected that the Main Event will prove even more popular and will see its guarantee crushed.